It is a total privilege helping couples create the wedding of their dreams – if this wasn’t special enough, meeting and working with so many amazing suppliers in the industry is the icing on the (wedding) cake – sorry couldn’t resist! Without awesome suppliers we wouldn’t be able to give our couples the best day of their lives. So we choose who we work with very carefully and a lot of time and effort goes into building relationships with like-minded suppliers that have the same ethos about weddings as we do. Each supplier gives 100% to every couple, 100% of the time, and so we have loved working with them all. Recommendation is really key to finding and being able to trust your wedding suppliers. Ask around and make sure you have done your research carefully. Although lots of you tell us you hate going, visiting a few wedding fairs really does give you the chance to meet suppliers face-to-face and get a feel for them and their work. Vital in building a good relationship. Just like us other suppliers will in turn be happy to recommend other companies you might need and you can gradually grow your network of possibles. Make sure you get quotes before you jump in so you are clear what you are paying for and then contrast and compare carefully. Most suppliers we will be happy to give you a free consultation before you decide 100% too. Here are a few snapshots of work created for The Wedding Dolls couples by just some of our fabulous wedding suppliers over the last year and our little chance to thank them all. Oh and how can we not thank the brilliant photographers who captured our suppliers amazing work! So following on from the start of our countdown yesterday to the Wedding Fair at Bluewater, part one of our wedding worries special kicks off with choosing your photographer. Always a toughie so click through and have a look at this guest blog post, by Kent photographer Rebecca Douglas, who talks you through the process. A must read for anyone still debating who will capture their big day. Oh and we do love an engagement shoot. 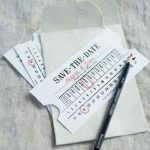 They are a great way to get to know your photographer and get a feel for the type of images you want taken on your big day. 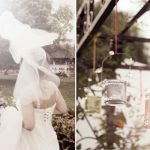 Have a sneak peek at Love in Paris and Bluebells and Fairytales for a bit of engagement shoot inspiration. 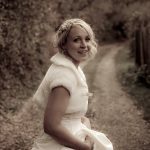 If you’re still not sure read this useful post from Offbeat Bride which gives you some darn good reasons why you should partake in a shoot, especially if you’re a bit camera shy. Also check out their engagement shoot ideas board. Plus if you’ve ever wondered how your mate always looks great in pics whilst you’re sporting a double chin and red eye then read this article on iVillage. This way you might actually get tagged in a wedding Facebook picture where you look half human, although after years of trying I’m still yet to perfect that one…..
PS Don’t forget to book your Wedding Fair at Bluewater tickets with our special discount code and come visit our stand where we’ll help you banish those wedding worries! Congratulations to Michelle and Altino and have a great weekend everyone! For us we love it as it captures one of those precious few moments you have to yourself, when you can just stop for a minute and take in your day as it unfolds. Just gorgeous.